Just as we did with our last suspension comparison, this report will compare and contrast the features of three popular 2.5- to 3-inch suspension kits for the Jeep JK. Again, the intended recipient of this suspension upgrade is a 2009 two-door soft-top JK that sees use on both street and trail, with most of the driving, sadly, coming on highways and surface streets. The Jeep currently wears a set of 33-inch Goodyear Wrangler Duratracs, with 35-inch tires planned as their eventual replacement. Coil springs: We’ve only started, and already our three kits couldn’t be more different. Teraflex uses traditional linear coil springs to achieve 2.5 inches of lift and a factory-like ride, then tops the springs with a half-inch spacer to achieve its advertised three inches. Metalcloak, on the other hand, issues two pair of its “true dual-rate” coils, which combines a traditional linear spring lower with a “flex rate” section that remains compressed at ride height. This design ensures the springs stay seated in their purchases, even at the extremes of articulation. Rock Krawler’s approach is more high-tech. Where Rock Krawler once used springs of different designs in the front and back, the company’s Overland lifts use progressive springs front and rear. While many coil-spring lifts deliver slightly more lift than advertised to account for the varying weight of Jeep and armor, both Metalcloak and Rock Krawler kits are known to give significantly more than the stated height. 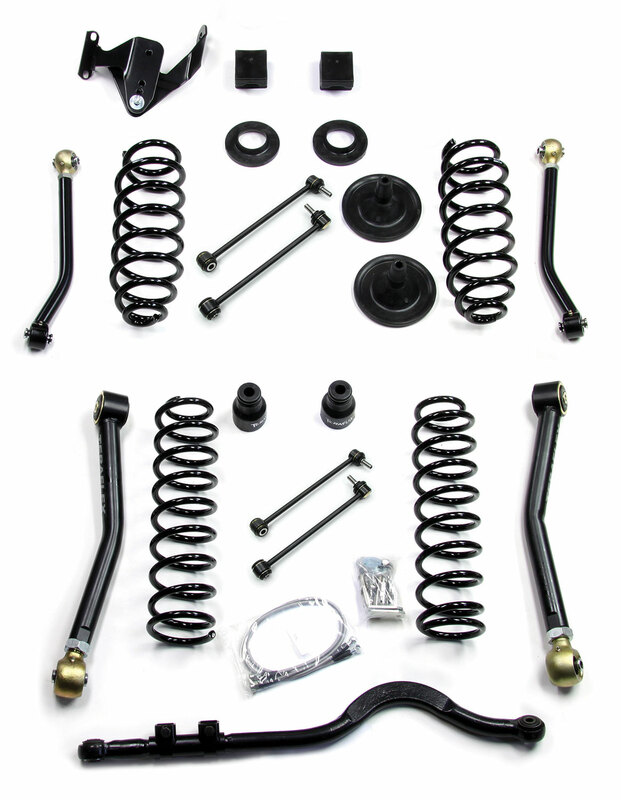 (This is less an issue now that Rock Krawler offers specific springs for two- and four-door Jeep JKs.) For example, a survey of nearly a dozen owners of two-door JKs like mine reveals the average lift height from a 2.5-inch Metalcloak kit was about 3 3/8 inches! Instructions: How many shade-tree Jeep mechanics have been frustrated — or, worse, had their planned modifications delayed by — poorly written or incorrect instructions? Moreover, instructions must be written not only for expert installers, but for the first-timer, who’s figuring it out as he goes in his driveway. 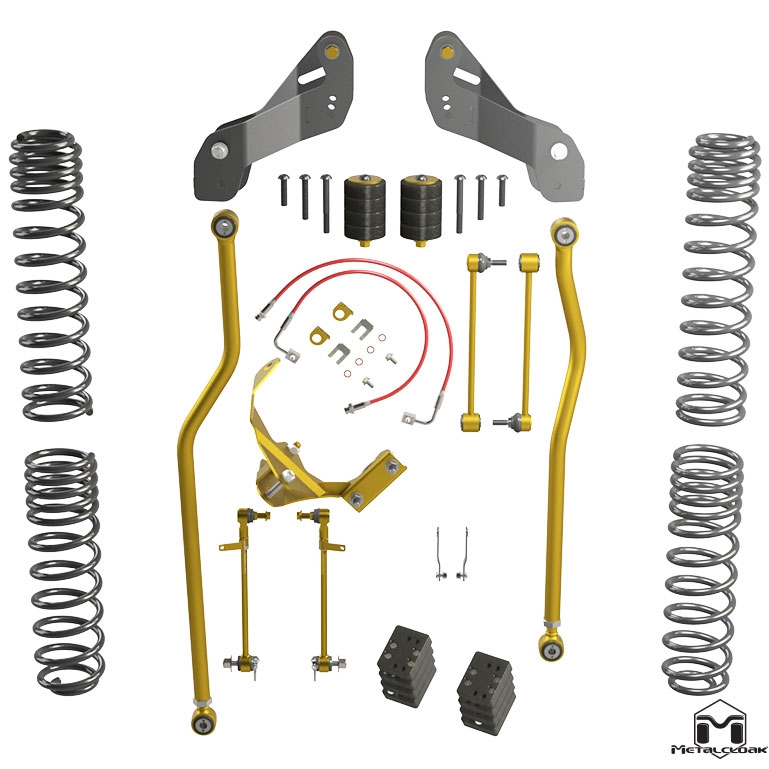 The choice by Metalcloak and Rock Krawler to provide a single set of instructions for all their suspension systems, in my view, is simply lazy and sloppy. More than one or two statements to the effect of “if your kit includes X, then do Y” can easily confound a novice Jeeper. In today’s world of computers and do-it-yourself desktop publishing, there’s simply no excuse for this approach. Each of these companies caters to a unique audience, each with its own specific needs. The important thing to remember about selecting parts for your Jeep is that within a large group of high-quality parts manufacturers, you really can’t go wrong. I wouldn’t hesitate for a moment to do business with Rock Krawler, Metalcloak or Teraflex. Each offers a variety of products suited to a number of driving styles and environments. Hopefully, comparing these products side by side is helpful in making a decision. This was an EXCELLENT review! Great job. Thank you! 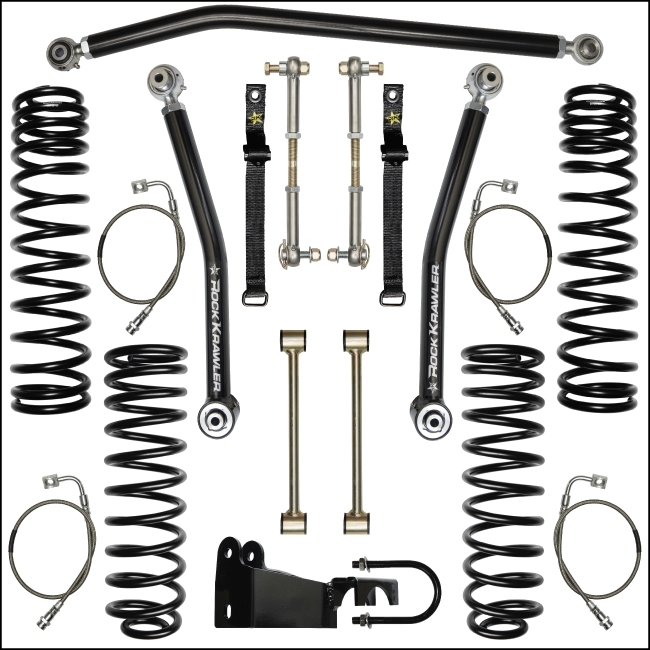 Wow… I found a very excellent post about Jeep Accessories like suspension kits. Really, I inspired by your amazing views. That’s perfect blog for anyone who want to know about your topic. I want to thanks for your blog.